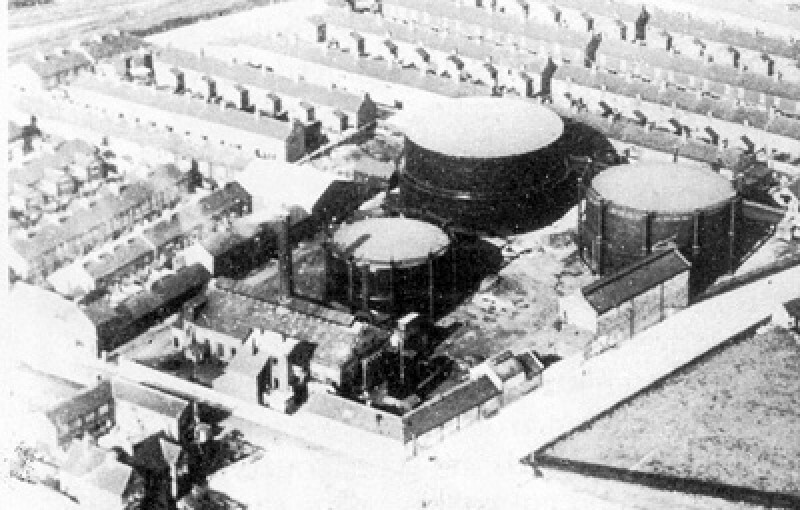 Inspired by a request from Kev Oyston for photos of the Gas Holders in Redcar. 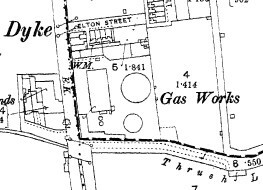 Redcar Gas Company was originally formed in 1857, by various mergers and nationalisations I suspect it was part of Northern Gas in its later years. 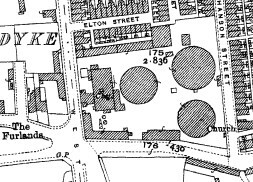 I recall there being one gas holder remaining on the site in the 1980s but I can’t remember exactly when it was removed, does anyone remember ? 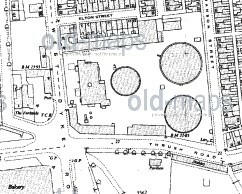 The following photos have appeared on Redcar.net and Redcar.org and seem to show there were originally three gas holders. 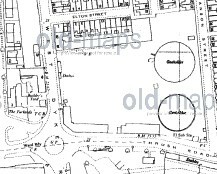 OS Maps over the years show many changes on the site. The site is now the location of the McDonalds Drive-Thru and Morrisons petrol station. I think the last gasometer was removed in 1994. 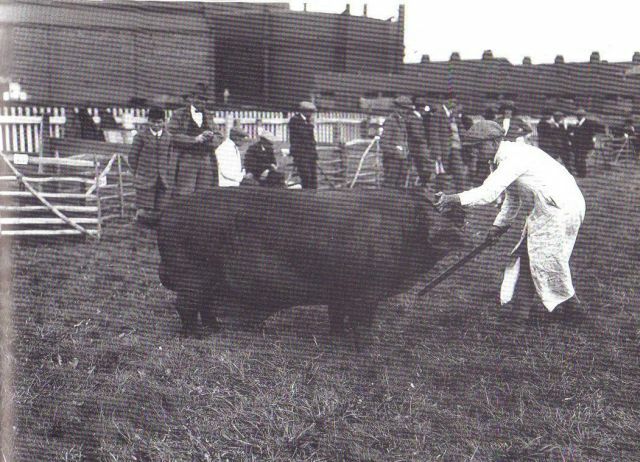 Also, is that chap wrangling an enormous pig? That will be the Pig Strangling Finals. 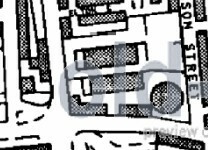 1995 is probably right, as part of the development of that side of the road from the junction down to the railway line and from there, down to the now Morrisons site. On this, anyone got snaps of the old bus depot ? An ugly, but busy place. Bearing in mind how derelict it looked when it was open in its last years, one could say ‘spot the difference/. THAT AREA. LOOKS AS THOUGH MY REDCAR HAS GONE NOW…..